Italy is without a doubt one of my favourite places I've had the pleasure of travelling to. My memories of Italy; Naples and Sorrento, fill me with such happiness. 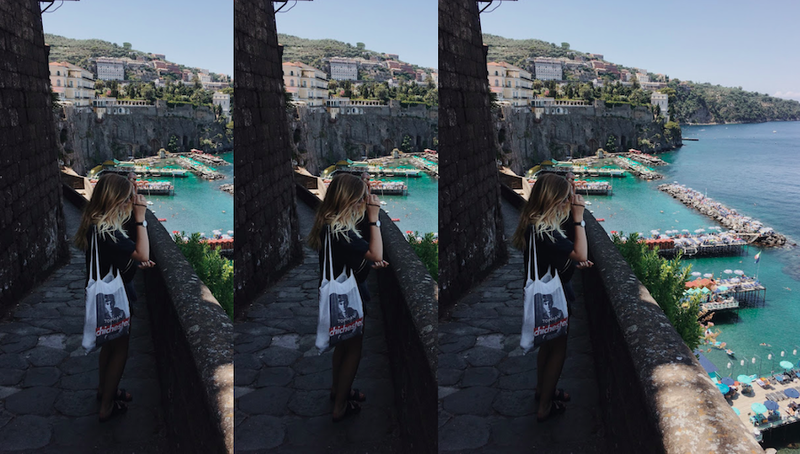 The thought of wandering Napoli's streets, drinking Aperol in the late summer evenings and the chatter of Italian voices feels like a million miles away from me right now and I'd do anything to be back. We staying in a beautiful Airbnb just up from Napoli University; right in the centre on a super busy road. We had no aircon so at night it was almost unbearable. We would like at night with cool towels on our heads to cool us down; it was hilarious. My favourite way to see any city is by tourist bus (I know..) and Naples was certainly no exception. 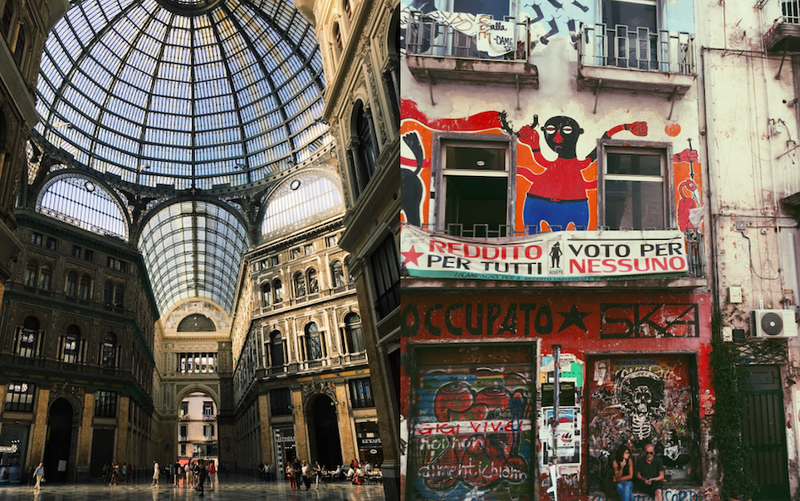 Naples isn't inherently known for it's beauty, rather its dodgy links to the mafia and it's great food of course, so it's still relatively untouristy. A true hidden gem, and the gateway to the Amalfi Coast. We spent our days in Napoli wandering the cobbled streets of the Spanish quarter and taking in every smell, noise and sight. I believe there is something very unassuming about Naples and its charm. I truly fell for its authenticity. Inevitably we ate pizza everyday. Breakfast, lunch, dinner. Only once for breakfast I swear.. We had breakfast every morning at a cafe under our apartment. It was always hard to get a table, and would be filled with a mix of people in suits and workmen. Foodwise, we enjoyed Pizzeria D'angeli, and typically ate around and near Naples most famous pizza restaurants (L'antica Pizzeria De Michele, Gino e Toto Sorbillo) because we were always too hungry to wait in line. We spent many evenings roaming the area around Gino e Toto Sorbillo and found beautiful street bars selling Aperol for €2. A slightly pricier but stylish favourite was Pepi Vintage Room bar. We never made it into Gino e Toto due to the crowds; next time perhaps. Naples has the uttermost advantage as a city, being the entrance to the Amalfi Coast. We decided to day trip to Sorrento by Pizza halfway through our stay. Albeit, pizza in Sorrento wasn't quite as good as Naples but the coast and the beach were beyond beautiful. We had to pay for a bed in order to access the beach because although there was a section of the beach open to public, it was packed! See the first pic. This ultimately worked in our favour and we spent the day swimming in the blue water drinking diet coke. The streets were full of markets, fresh fruit and lemon memorabilia everywhere. It's the sort of place that truly lives up to its beauty. We also importantly day tripped to Pompeii. It was pretty amazing to imagine and to be, but unlike sorrento it didn't quite live up to its initial appeal. It was so incredibly hot and we opted out of audio guides, so we had no idea what anything was. There was also no shade because well, it's a ruin. In hindsight, next time I'd like to visit Herculaneum as I hear it's less touristy. 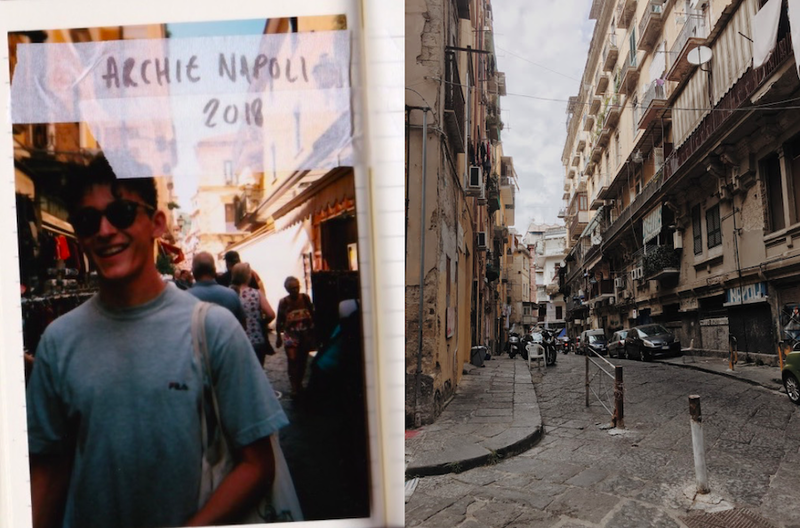 Napoli certainly has a charm and a hold of me, I'm making sure I visit the Amalfi Coast as soon as possible, delving deeper into Italy and living out Sophia Loren in 'It started in Naples' with a touch of inspiration from Call Me By Your Name. 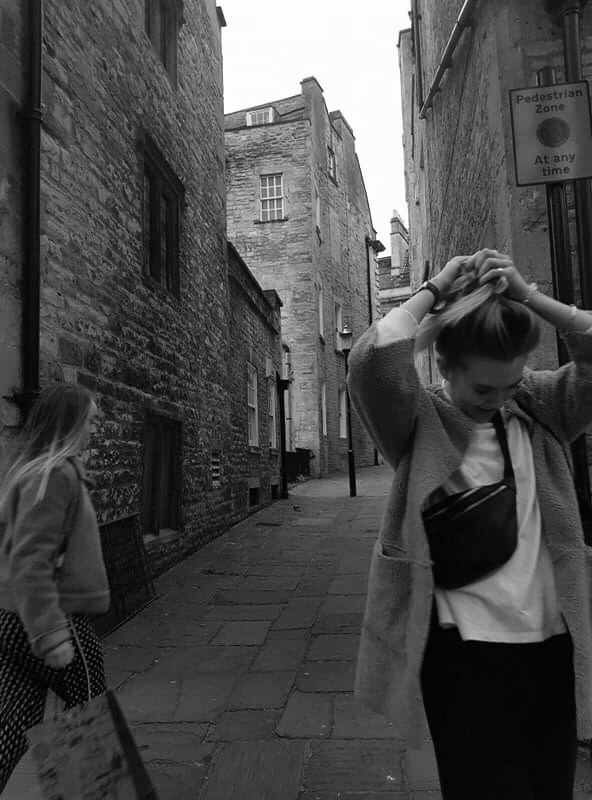 I'm aware I change my blog look an excessive amount of times and I do apologise. Thank you for all your kind words and comments on my last post. 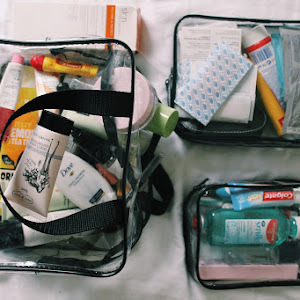 It has been such a while since I've written so honestly and openly like that on my blog, and it's been such a while since I shared a blog post on instagram for all to see, so all the reassuring comments were warmly welcome. Thank you. This post is long overdue. And it is also written in a slightly different way to my usual style. It comes as a result of my frustration with digital content and my sort of desire to create more in real life. 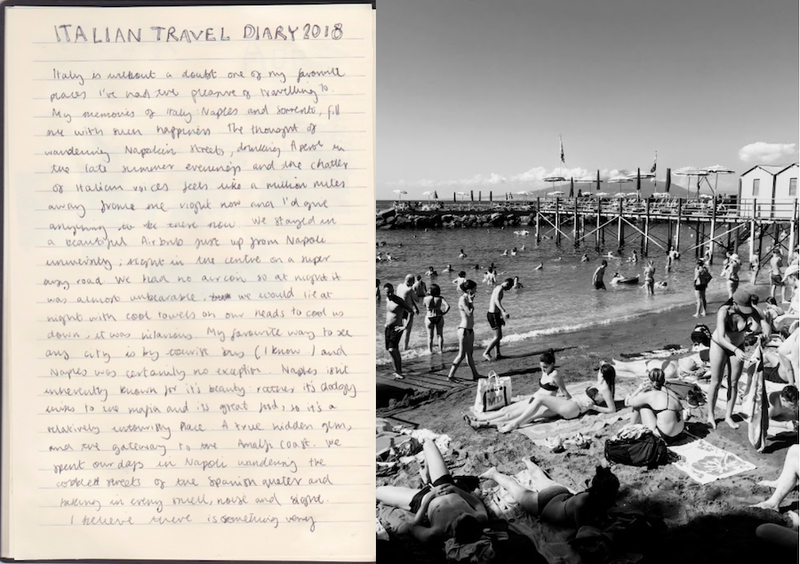 I really have missed collaging and journaling so its a medium I hope to share more on my blog. this post is so beaut!! the photography and collage style is so cool Lex love it! Such cute pictures, I love! The way you designed this post is beautiful! Love the scrapbook/collage vibes! What a lovely post. Great photos you have here dear. Thanks for sharing! 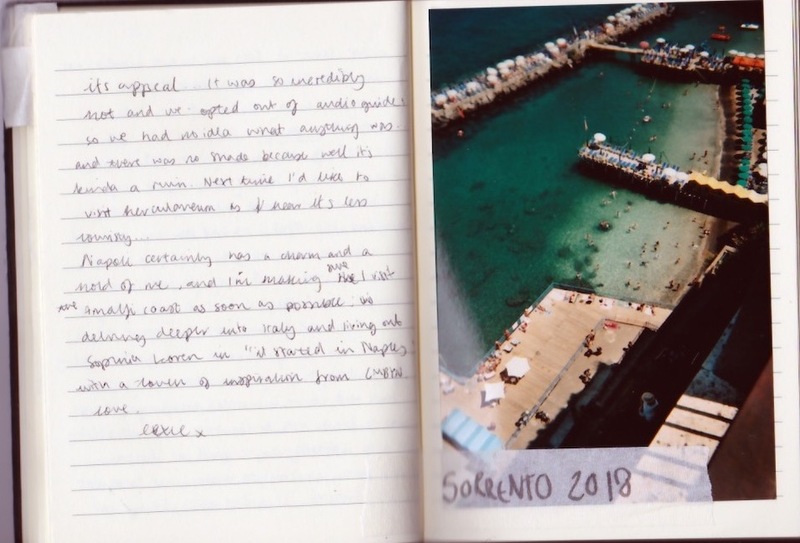 love your journaling photos....I've never been to Naples but I've been to Italy and I love it. Such a beautiful country!!! 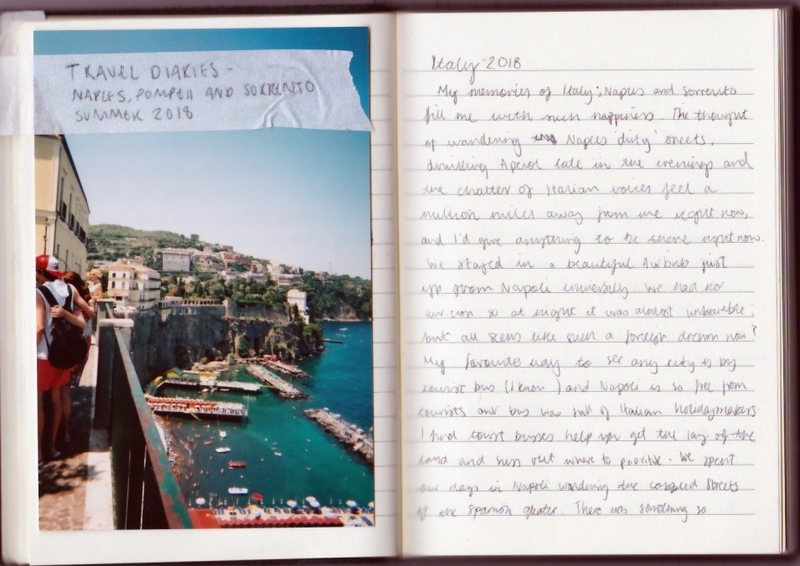 omggg lexie this post is stunning, it has the aesthetic of the film-like idyll I dream of holidays being. You make me crave being on holiday SO bad, I adore Italy, and (strangely???) 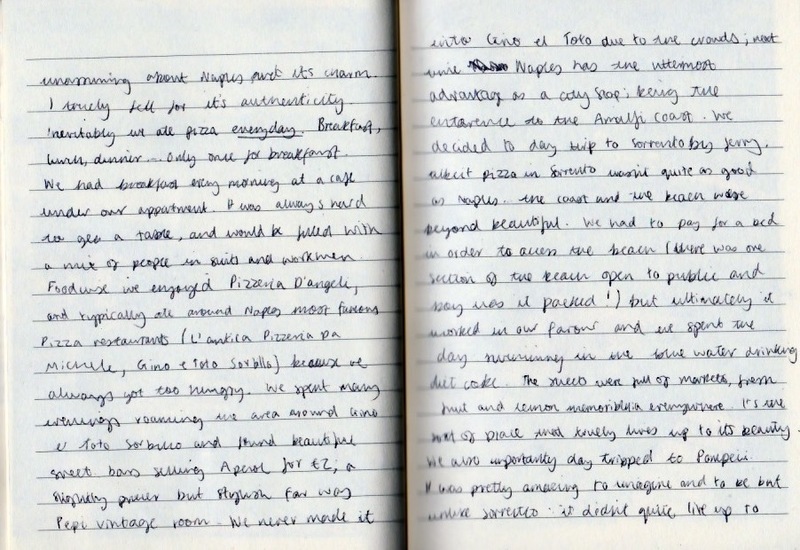 make me really wanna be on holiday with you, the way you write is just so damn appealing!!! Also I feel u with digital content, I'm just sort of throwing stuff out there and letting it be. So much fun to read! 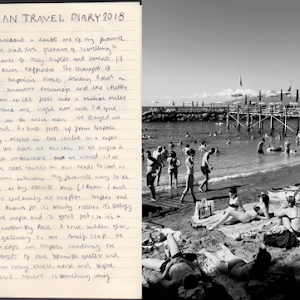 I always love to read about others' travel experiences. The photos are so pretty. I've been wanting to go to Italy! This is totally making me want to book a trip there now!